It's learned that a Teenage Mutant Ninja Turtles reboot is underway at Paramount, as a third TMNT live-action film is in development of the newer franchise. Andrew Dodge, known for Bad Words and who is also writing the LeBron James Spacejam 2 movie, is penning the Teenage Mutant Ninja Turtles reboot script, with Michael Bay, Andrew Form, and Brad Fuller back as producers through their Platinum Dunes production company. The reboot follows the previous flick from two years ago tanking at the box office. 2016's Teenage Mutant Ninja Turtles: Out of the Shadows underperformed compared to the first movie from 2014. Out of the Shadows grossed $245.6 million, with the first movie netting almost $500 million. Both of the films have low Rotten Tomatoes scores as well with the first TMNT coming in at only 22% and its sequel having a score of 37%. 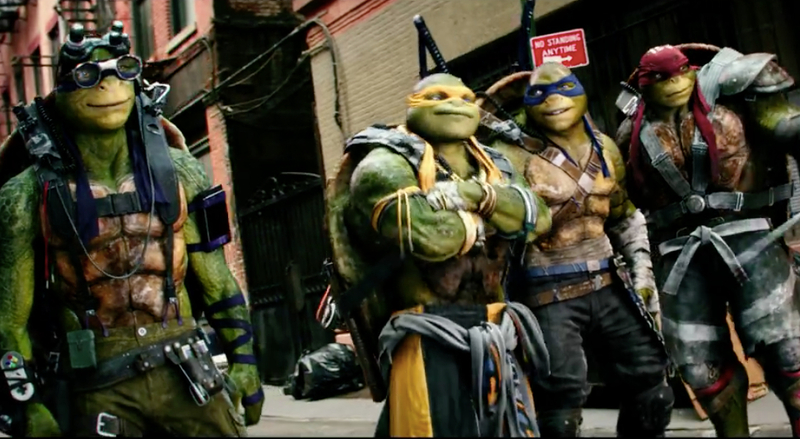 Audiences haven't been too keen on the latest TMNT movie as only about 50% stated they liked them.